Veteran Russian cosmonaut Oleg Kononenko will lead the crew launching aboard the Soyuz TMA-17M space capsule. Kononenko will be joined by rookie NASA astronaut Kjell Lindgren and first-time Japanese flight engineer Kimiya Yui. Roscosmos said space station managers will set a target launch date for the new crew after analyzing the results of an unplanned maneuver conducted Monday to steer the complex out of the way of a piece of space junk. 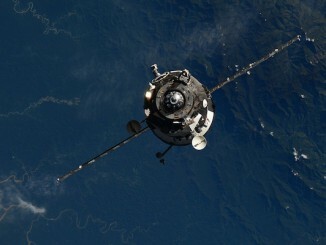 The debris avoidance burn slightly changed the space station’s orbit, and analysts will have to recompute the Soyuz spacecraft’s launch opportunities before finalizing a launch date. Kononenko, Lindgren and Yui will replace an three-person crew scheduled to depart the space station Thursday and land in Kazakhstan. The Soyuz TMA-15M capsule set to undock Thursday with NASA commander Terry Virts, ESA astronaut Samantha Cristoforetti and Russian pilot Anton Shkaplerov was put through standard pre-departure checks this week. Roscosmos said engineers are studying a thruster misfire — a separate impulse from Monday’s intentional space junk avoidance burn — that occurred during routine tests of the Soyuz communications system Tuesday. 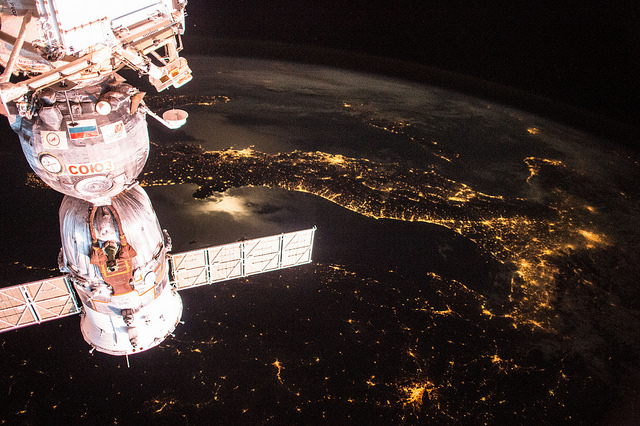 The glitch occurred at 11:27 a.m. EDT (1527 GMT), according to NASA, causing the space station to slightly drift out of its normal orientation. The complex was quickly brought back under control by other rocket thrusters on the Russian section of the outpost. 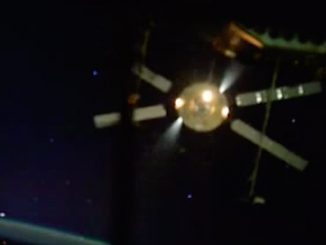 Thursday’s undocking was originally set for mid-May, but space station managers delayed the landing a month in the schedule shakeup following the loss of the Progress spacecraft in April. 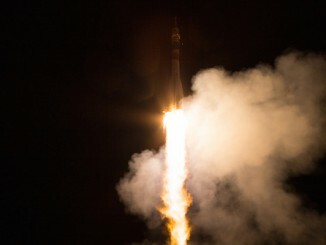 Russian officials moved up the next Progress cargo launch from Aug. 6 to July 3 in the wake of the failure of the last mission, which investigators said was caused by a “design peculiarity” in the linkage between the Progress supply freighter and its Soyuz rocket, which launched with an upgraded digital flight control suite and other modernizations. The spacecraft spun out of control after a botched separation from the third stage of the Soyuz rocket. The July 3 launch will use an older version of the venerable Soyuz booster not susceptible to the problem that led to the loss of the Progress cargo capsule April 28. The liftoff of the following Soyuz crew ferry craft remains set for Sept. 1, Roscosmos said. It will carry up incoming space station flight engineer Sergei Volkov, Danish astronaut Andreas Mogensen, and a third crew member still to be announced. British soprano Sarah Brightman was slated to launch to the space station with Volkov and Mogensen under a tourist contract with Space Adventures, but she backed out of the mission last month. Russia is expected to settle on a replacement for Brightman soon. Volkov will remain on the space station until early 2016, but Mogensen will come back to Earth after a 10-day trip along with outgoing space station commander Gennady Padalka and the still-unknown third crew member. The mission is necessary to change out the Soyuz lifeboat on the space station, which comes with a “warranty” of 210 days in orbit. The Soyuz landing craft are typically flown back to Earth by returning space station residents at the end of their expeditions, but two members of the current crew will stay in orbit beyond the design expiration of their Soyuz capsule. Padalka launched in March with NASA astronaut Scott Kelly and Russian cosmonaut Mikhail Kornienko, who are slated to spend nearly one year aboard the space station. Kelly and Kornienko will remain in orbit when Padalka returns in September.